Pixar for a while used the same group of composers, starting with Randy Newman. 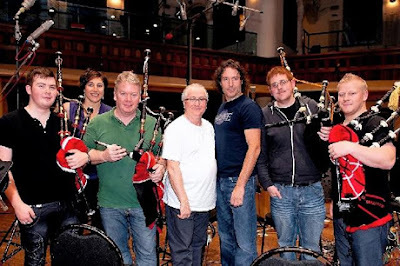 Thomas Newman and Michael Giacchino jumped in with several films, and now Patrick Doyle joins the bunch. Patrick Doyle really has impressed me over the last few years with nice scores to last year’s Thor and Rise of the Planet of the Apes. To say the least, I was intrigued by what Doyle was going to offer this animated tale. As a fan of the Pixar films (who isn’t?) and their scores, Brave doesn’t quite reach the levels of those films. The film itself just feels trapped in two worlds, possibly the outcome of the writer/director dilemma the film had during production. The score doesn't seem affected by that, as it provides a solid listening experience. I won’t reveal plot points, but track names are used. Beginning the album are three new songs used in the film. First we have Touch the Sky. Music is by Alex Mandel (who has done a few projects with Pixar before) and performed by Scottish folk singer Julie Fowlis. The song matches our lead character of the movie, and the arrangement of the song fits with the Scottish score. Into the Open Air is another song by Mandel performed by Fowlis. Again, not terribly memorable, but fits the soundtrack nicely. The last song (which is featured in the end credits) is Learn Me Right by Mumford & Sons and performed by Birdy. Overall these songs aren’t too intrusive, so I can’t complain. Now onto the score itself. The score features some great Scottish rhythms and instruments that Doyle did some research on for the project. Fate and Destiny first introduces the jig theme, which is often used in the lighthearted/upbeat moments of the score. These opening tracks feature the most of the Gaelic instruments as they set the tone and setting. The Games is reminiscent of a similar scene Doyle scored for Harry Potter and the Goblet of Fire (2005), but it works well and features the most bagpipes I’ve heard in a while. 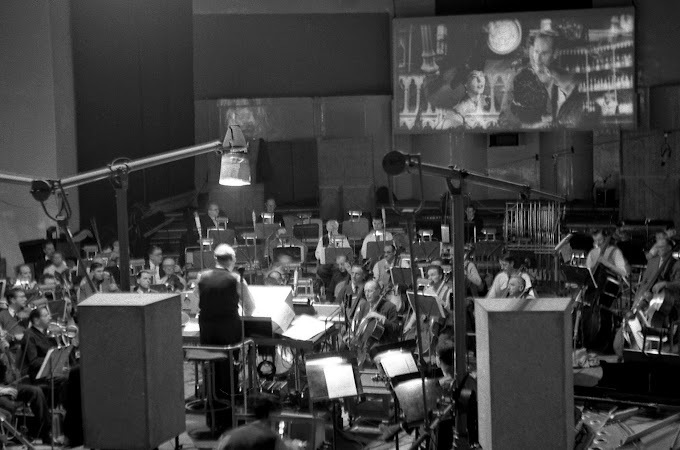 It is a rousing theme that I wished was in the score a bit more. 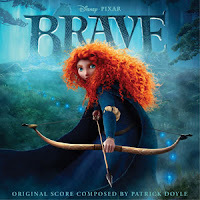 I Am Merida features more ethnic instruments, but doesn’t feature a rousing character theme like the track title implies. 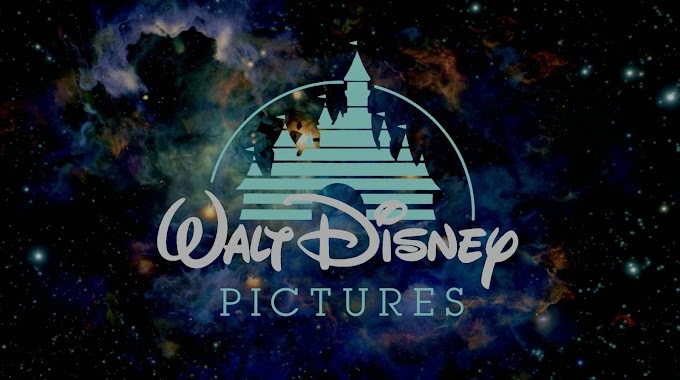 The next main theme in the film, the more sentimental family theme, often used for the mother/daughter relationship first appears in Remember to Smile. It is a very pretty theme that gets expanded throughout the score. In Merida Rides Away, the music begins to really drive but turns spooky as she follows the wisps into the woods. The music is full of high tremolos and low strings and even a hint of the Dies Irae. The Witch’s Cottage music turns light, as the scene has tons of strange humor. It also features some creepy sections, also including very dramatic music. On the flipside, the Song of Mor’du is the drinking song featured in the film, sung by cast members. The song was written by Doyle, so it fits snugly with the jig theme heard earlier in the film. I won’t spoil anything about the film, but Through the Castle is played against some of the comic scenes. The Song of Mor’du theme comes back in various forms, and the “sneaky” bassoon/bass clarinet and pizzicato strings are prominent. The track Legends are Lessons is generally quiet, featuring the sentimental family theme in a full rendition that works very well both in film and on the album. This is certainly one of the best tracks to feature that theme. Show Us the Way is mainly a cue that underscores the suspense of Merida in the woods following the wisps, eventually turning into an action cue. Mum Goes Wild features some nice underscoring; featuring versions of past motifs until the percussion kick in. In Her Heart, shows more of the lyrical themes Patrick Doyle excelled at for this score. The solo fiddle and pipes really work nicely for these themes. The lullaby Noble Maiden Fair (A Mhaighdean Bhan Uasal) (music by Doyle, lyrics by his son Patrick Neil Doyle) has Emma Thompson singing. This family theme has been in the score before, this time accompanying with fiddle and harp. Not Now! is an action cue from the beginning, with a mix of past themes. Get the Key is another climatic track, featuring the lullaby theme in an action setting, with the driving rhythms in the background. The longest track on the album is We’ve Both Changed. This track basically covers a good chunk of the film, with the characters and music both wrapping up. The ways the themes build up slowly really give the scenes some emotional weight. We get a reprise of the lullaby theme on fiddle, before a full rendition of Noble Maiden Fair. When the orchestra comes in, it is a really beautiful moment. If you love the family theme, there is another version of it in Merida’s Home – this time featuring the whistle. The percussion gets added in as the album crescendos to the end. This album follows the score pretty nicely, although there seem to be a few sections from the film not on the album. The album itself is a nice progression of themes, which works great without the film. There really isn’t a theme for Merida, but that follows most Pixar scores as well. Patrick Doyle’s score fits with the other films - not as memorable as The Incredibles or Toy Story, but they fit the characters and their stories. And yes, avoid the score if bagpipes and Uilleann pipes sends shivers down your spine (in a bad way). Great analysis of the soundtrack! My favourite score by Patrick Doyle is Sense and Sensibility, because of its incredible music fitting perfectly to the atmosphere film. Looking forward to next blog!